We've already had 10019 updates since Dolphin 5.0. Keep up with Dolphin's continuing progress through the Dolphin Blog: Dec/Jan Progress Report. 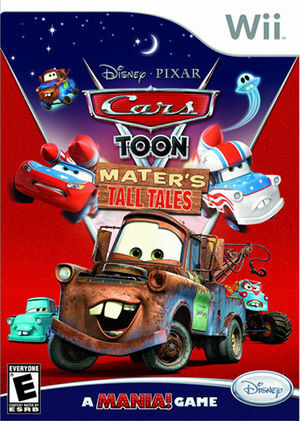 Cars Toon: Mater's Tall Tales is inspired by Disney/Pixar's wildly popular animated shorts of the same name, a follow up to Toy Story Mania!. Cars Toon: Mater's Tall Tales is part of the Mania! video game franchise, featuring fast-paced, multiplayer, family fun. The game is a frenzied pick-up-and-play experience to be enjoyed by everyone in the room. With up to four players at once, Mania! games reward competitiveness and cooperation among players. The game will bring Mater together with Lightning McQueen and the "Cars" gang for a new set of adventures, capturing the endearing sense of humor of everyone's favorite tow truck. Players will join Mater and his pals as they relive the wild stories he conjures up about hilariously unpredictable events that may or may not have taken place. The voice of everyone's favorite tow truck, Mater, will be supplied by Daniel Whitney, "Larry the Cable Guy," who also voices the character in the film and cartoon shorts. The graph below charts the compatibility with Cars Toon: Mater's Tall Tales since Dolphin's 2.0 release, listing revisions only where a compatibility change occurred. r7093 Windows 7 Intel Core 2 Duo E8500 NVIDIA GeForce GT 470 Important graphics bugs, cinematics bugs, textures are missing, color changes. This page was last edited on 13 January 2018, at 04:08.